The time has come to get the office into gear ahead of welcoming your new hire. Everybody is excited and ready to go and make sure this new hire experiences the best welcome and a seamless probation period. 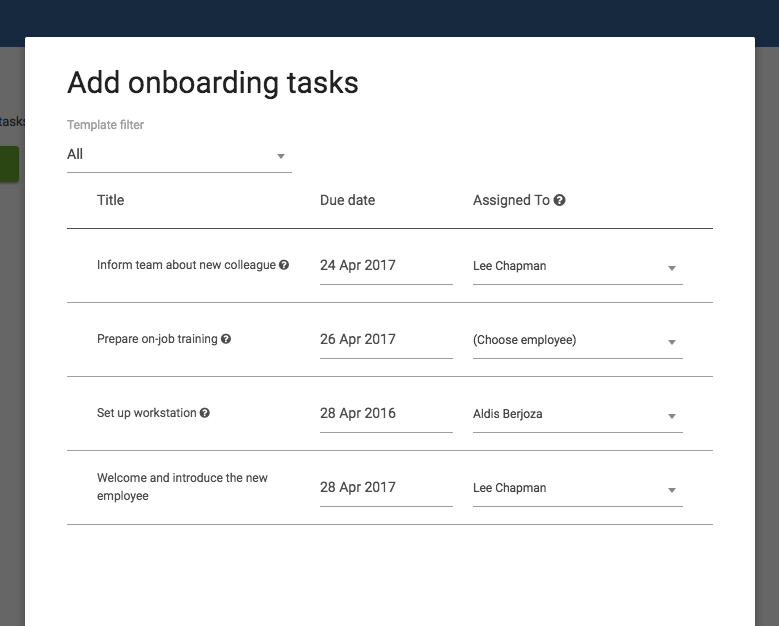 To assign your onboarding tasks to your employees, first head to the new hire's Profile > Onboarding. Click Add Tasks and you will then see the Templates you have already created. If you have assigned a Default Assignee, you can change this as well as the Due Date. Any Task that has an employee assigned will be created as a task to complete. These Tasks will then appear on the employee's Dashboard to complete.